Don't see your question? Submit it here. Sign up for will be available closer to the 2019 festival will be available closer to the event. Contact us for more information about signing up. The 2019 Streets Alive! festival date and location will be announced in March 2019. The route will include neighborhood parks, walking and biking trails, playgrounds, neighborhood organizations, and areas of neighborhood interest. Where will the exhibitors, fitness class or sports demonstrators, performers, and food vendors be located? There will be assigned locations all along the route. Where do exhibitors, performers, and fitness leaders park? The streets following the route will be closed to traffic and parking the day of the event. In order to accommodate everyone in the area on the day of the event, there will be a variety of parking lots available in the vicinity of the route. Parking locations and closed streets will announced closer to the date of the 2019 festival. Where do food vendors park? Food vendors and farmer's markets can unload, set up, and park in the "food court" designated parking between 11:00 AM and 12:15 PM on the festival date. If the route is closed, do I have to carry my things from my car? All exhibitors are asked to set up from 11:00 AM to 12:15 PM. During this designated time you will be able to drive your car onto the route, closer to your assigned booth area to unload for the event. Please time your arrival accordingly as we will not be able to provide these accommodations after 12:30 pm for the safety of our participants, exhibitors, and volunteers. How much time do I have to set up for a performance? Performers will have 15 minutes before their performance and 15 minutes after their performance to set up and take down unless other arrangements have been made. The stages will be ready, so both should be minimal. There will be volunteers staffing information booths near your stage to assist you. Do exhibitors and food vendors have to stay the entire time? There will be many activities starting at different times throughout the afternoon. To offer those that arrive later in the day the same experience as those that arrive earlier, we ask that your booth is staffed the entire time. How can I be a sponsor of Streets Alive!? If you are interested in sponsoring the 2019 Streets Alive!, contact us. What are the volunteer opportunities with Streets Alive!? Volunteer opportunities are listed on the Volunteer page. Streets Alive! is a FREE family friendly afternoon of fun. 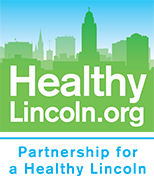 A one and one half mile stretch of Lincoln streets in the Belmont neighborhood will be closed to motorized vehicles and open for all human-powered transportation. Streets Alive! is a FREE community event that promotes active living and healthy nutrition in a fun and interactive way. At Streets Alive! the route is lined with fun activities, entertainment, fitness demonstrations, and free health and wellness information. You can sing or dance along with entertainers, walk, skate or bike down the trail, taste yummy healthy food and beverages, and find great health and wellness resources. The 2019 Streets Alive! festival location and date will be announced in March of 2019. The route will include neighborhood parks, walking and biking trails, playgrounds, neighborhood organizations, and areas of neighborhood interest. Everyone is welcome! We encourage anyone who can walk, ride a bike, propel a wheelchair or push a stroller to get out and enjoy the event anytime between 1 PM and 4:30 PM. You can join anywhere along the one and a half mile route. There are a variety of parking areas available for public use during the event. Location will be announced closer to the date of the festival. Yes! We will even have a exhibitors of interest along the route for your furry friend. Please keep all pets on a leash and be sure to clean up any pet waste appropriately. Streets Alive! is a FREE event! There will be fresh fruits and vegetables available for sale Farmer’s Market/Food Truck Area from local businesses and food trucks. Do festival goers have to sign-up? No. This event is open to the public and requires no registration. If you participate in the fun run/dog walk before the festival begins, you must be registered for the run. Closed streets will be announced closer to the date of the 2019 festival. No. Enjoy the event any time from 1-4:30 PM. Come for as long as you like at any point during that time. To see everything along the route, we recommend you come by 3:30 PM, but the fun will continue until 4:30 PM! Often healthy snacks and water are provided by our sponsors as well as many other exhibitors along the route. Fresh farm produce from and tasty food from several food vendors will be available at the "food court". How do I know where the performers are? An entertainment schedule and map will be available closer to the 2019 festival date. To make your one and one half mile journey more enjoyable, we recommend wearing athletic shoes to protect your feet and clothing that allows you to move comfortably. If you want to try a new fun way to stay active, put on your workout gear and join us at the fitness stages. Bring your bike, roller blades, skate board, stroller, or anything you enjoy using in outdoor play. Be prepared to have fun like you did as a child. Does the route only go one direction and is there a starting point? You can join the event at any spot along the route as there is no designated starting point, no right or wrong direction, and no required length! Open street events like Streets Alive! allow you to make it your own by experiencing as much or as little of the route as you would like. How will the event impact the residents and businesses along the route? Residents and businesses along the route are in the best position to take advantage of everything this event has to offer. There will be off-duty Lincoln Police Department officers on hand to assist people trying to get to locations along the route. Residents and businesses will receive notification of the street closures and alternative parking options. Streets will be closed to driving and parking from 7 AM to 5 PM the day of the event. Please be sure to move your vehicles to a designated parking area or on street parking off the route. We apologize for any inconvenience and are committed to working with residents, businesses, and community based organizations to ensure that any negative impacts are minimized through thoughtful advanced planning, collaboration and outreach. Please contact PHL if you have any questions/concerns at 402-430-9940.